New York, NY – Critically acclaimed Red Circle series The Fox sold out on its first day of release at Diamond Comics Distributors and will be immediately going back for a 2nd printing. 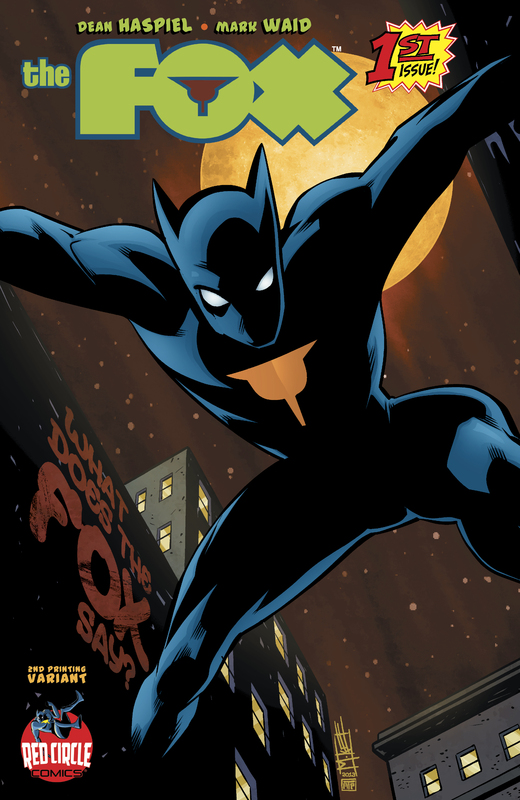 A unique spin on the classic super hero, The Fox is a 5-issue limited series by the Emmy Award winning writer/artist Dean Haspiel (Billy Dogma, HBO’s Bored To Death) with words by Eisner Award winning writer Mark Waid (Daredevil, Thrillbent). One of the year’s most talked about debuts, The Fox has received accolades from notable comic and news sites including USA TODAY, HOLLYWOOD REPORTER, IGN, COMIC BOOK RESOURCES, COMIC VINE, NEWSARAMA, BLEEDING COOL, MAJOR SPOILERS, 13th DIMENSION, the WORD BALLOON podcast, and many more. The 2nd printing of The Fox #1 will receive a brand new cover by superstar artist Mike Norton (Revival) and series colorist Allen Passalaqua. It will hit comic shops exclusively on 11/27, followed by The Fox #2 in-stores 12/4. Red Circle Comics would like to thank Dean, Mark, Allen, letter John Workman, and Darwyn Cooke and Fiona Staples, who lent their talents to covers, as well as to the fans, retailers and websites who have supported this book, and the whole Red Circle team. You can also keep up-to-date on The Fox by following Red Circle Comics on Facebook and Twitter.